Can knowledge be owned? Should it be? 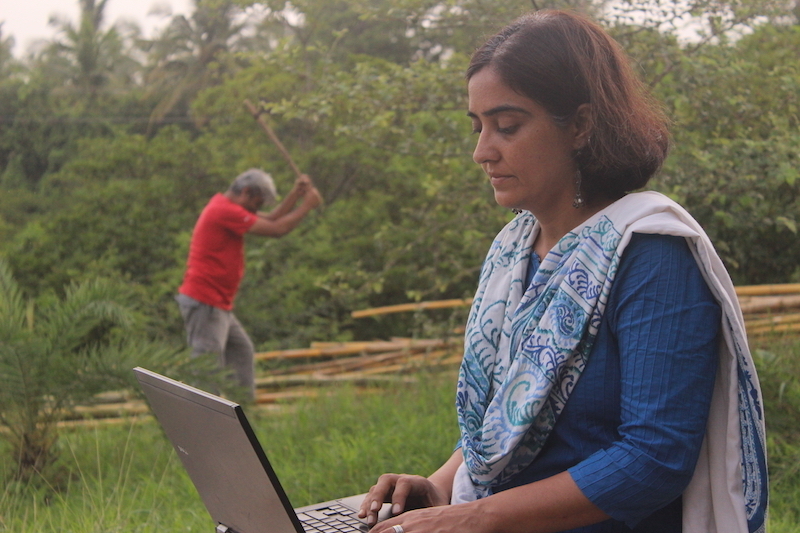 Michelle Chawla runs Tamarind Tree, a social justice initiative at Dahanu, Maharashtra. She writes for the StoryWeaver blog about why she and her team are staunch advocates of open philosophies. Having taken a vociferously strong position advocating the benefits of digitisation and the use of technology in education, I have found that more often than not, there is a huge discomfort and resistance when we talk about a digital educational experience for children. This stems from two critical issues - one is that most people have not entirely comprehended how technology can be used in learning. They associate technology to be equal to watching youtube videos rather than learning computer coding for instance -- where a student is producing something not merely consuming it. Secondly, there is a serious lack of a deeper sociological and political analysis with which they see knowledge or technology in society today. When it comes to reading, passionate readers with skepticism for technology state - “I need to touch and feel a book that I am reading, smell the paper and turn the page. That is the true reading experience”. They go on to claim that this is extremely important for children who are starting out as young readers. Educationists add to this view stating that children need to be exposed to a culture of reading through a space like a library in order to make them curious readers. Technology and digital reading may not help in creating this. Unfortunately, the reality is that “knowledge” and more specifically the printed word belongs only to the privilged few. Most young children in our country do not have access to the wonderful world of books because knowledge has been commodified and is restricted or denied through a complex regime of copyrights, licensing and profits. Education is a product to be purchased and only those capable of buying it become “knowledgeable” and educated”. There is an urgent need to look at education & knowledge from the perspective of equity and access – to have a wider world view which is inclusive and collaborative rather than being proprietary and exclusive. Seen from this lens then, the battle is very clear. Our work in building equity in education is to re-appropriate knowledge and put it in the public domain to make it accessible and freely available to all. Whether this is by photocopying texts and distributing (as is the case of the Delhi University photocopy shop) or using tools of digitsation - the vision remains the same. Tamarind Tree is a small initiative to fulfil this dream. 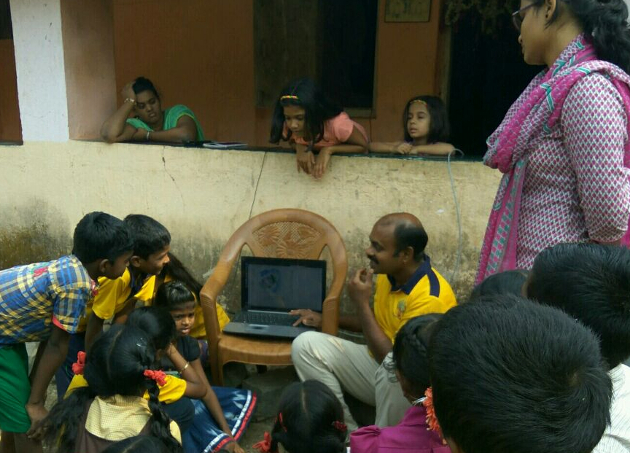 Located in a village in north western Maharashtra in the tribal region of Dahanu, Tamarind Tree is an experiment in education – a space where we work towards building a culture of learning, a culture of equity, a space that aligns itself with the global movement to encourage and use Open Educational Resources (OERs) so that we can collaboratively build a better world. With 150 first generation learners on its campus, this has been both exciting and challenging. The learners are predominantly from the tribal community of the Warlis. Their mother tongue is Warli which is a mix of Marathi and Gujarati. Given that the State run Zilla Parishad schools are entirely in Marathi, tribal kids feel a sense of alienation given that Marathi is not their first language. Moreover, many schools continue to perpetuate age old prejudices against the tribals. However, teaching in their mother tongue is next to impossible since it is a colloquial language intended purely for basic communication. Its limited vocabulary and lack of script make it unviable for a tribal child to learn many concepts and ideas. At Tamarind Tree, we opted to use English as the medium of instruction because it is one of the only critical mediums today that is generating new knowledge be it in science, math, technology or literature. We consider our space a multi-lingual one taking the tribal child gently from her mother tongue Warli to English. Given the realities of the learners (who require contextual content) and of our complete committment to the philosophy of Open Source content, we began looking for material. More often that not, we found it be inappropriate or proprietary. So we began developing our own content and hosted it our curriculum on My Big Campus ( an online virtual learning environment). 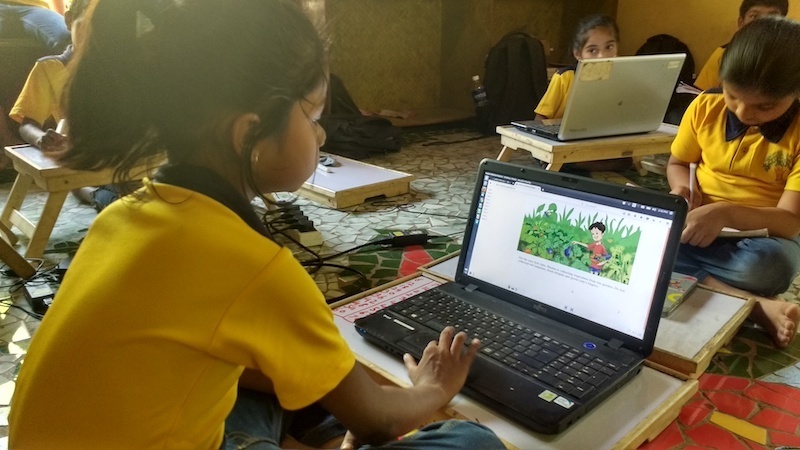 Yet the one resource that we have have successfully and more than comfortably used for over four years are the openly licensed stories from Pratham Books - first from Scribd.com and then later from StoryWeaver (both the open community as well as those published by Pratham Books). Philosophically, StoryWeaver believes that knowledge should not only be freely available but should be collaboratively built and shared by all in as many mediums as possible. We stand by this. Moreover, the stories are contextual, simple and told in a format and manner that children find easy and entertaining. The illustrations have done wonders to motivate our students to read. At Tamarind Tree, there have been many ways in which we have used the digital stories from StoryWeaver. We have projected stories on the screen in a group learning model and done several Read Aloud sessions. Students have read stories on laptops individually in a class and teachers have facilitated their reading and comprehension. Another successful style (especially with the younger ones) has been the use of the audio story first on speakers in a class followed by the text to ensure retention and comprehension. 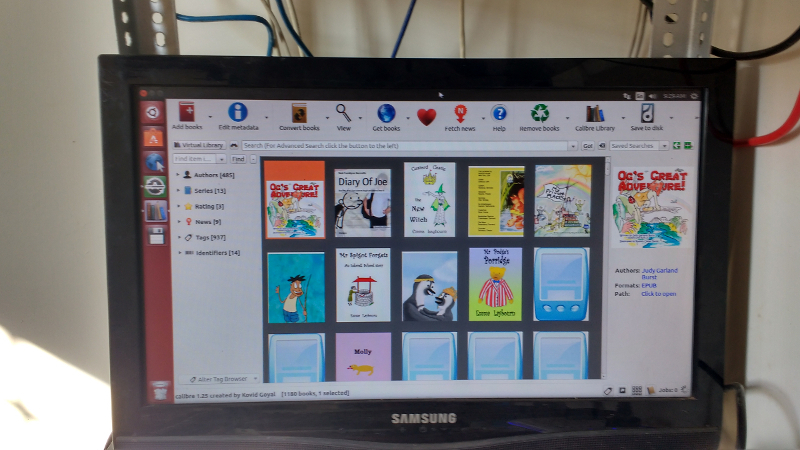 However, these approaches had logistical and operational issues of having to load the ebooks and the audio on individual laptops and making sure that all children have the book they need. 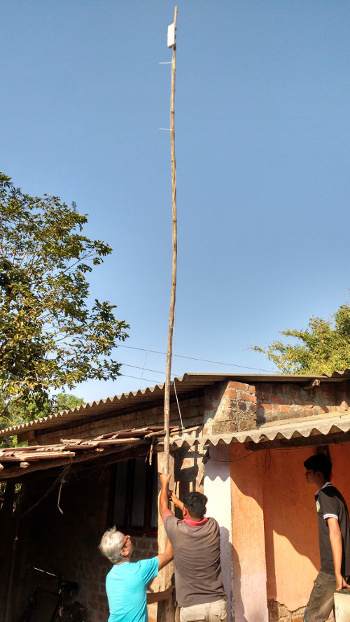 Its also important to understand that in spite of being only 120 kilometres from Mumbai, Tamarind Tree and the villages around continue to be in the media dark region, denied of internet access. Communities have to depend on the prohibitive 3G data charges to access net on their phones and the dream of a digital India connected on broadband remains on paper. To overcome these issues and to move to a system that made access easier and faster we have set up an e-libary server that hosts books, newspapers, journals and periodicals. 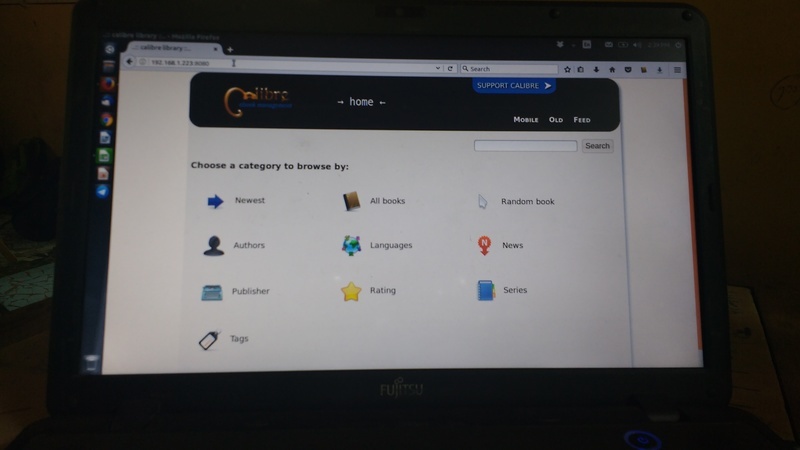 The Library server uses Calibre , a comprehensive and open source e-book management tool. The libre in calibre stands for freedom, indicating that calibre is a free and open source product, modifiable by all. Our e-libary hosts books in the epub format only, as it is the most widely supported vendor-independent XML based (as opposed to PDF) e-book format; that is, it is supported by the largest number of e-Readers. The server currently hosts approximately 2000+ books and is hosted in a room on the campus. The server is linked to a 2.4 Ghz radio on the Tamarind Tree network and voila the library is available anywhere on campus on a digital device (android phone, tablet or a laptop). Students, teachers, visitors can now read books from StoryWeaver on their phones or machines on the Tamarind Tree Network without having to log onto the internet. Besides books from the StoryWeaver, our e-library contains only those books that are free of copyright and in the public domain sourced from sites like Gutenberg, the Internet Archive and others. We are also in the process of setting up an Audio and Video server on the campus that will host educational content. At the end of showcasing our e-library, many people still ask us if we have physical books to offer the children. The answer to that question is immaterial. The reality is that we must read between the lines to convince ourselves that the denial of knowledge to large sections of society is an injustice to be fought. Maybe... just maybe digitisation will help us fight that battle. P.S There is not a single book shop in the entire Dahanu taluka from where a child can buy a book. A few stationery shops in the Municipal area may keep a book or two, but thats insignificant. Contrary to whats being said about a digital India, there is no broadband infrastructure being set up in the 174 villages of Dahanu taluka, where 68 percent of people are tribals.